Your vehicle should be a perfect balance of versatility, performance, and technology, so that you can stay in pace with your hectic schedule near Marlton, Mount Laurel, and Cherry Hill. 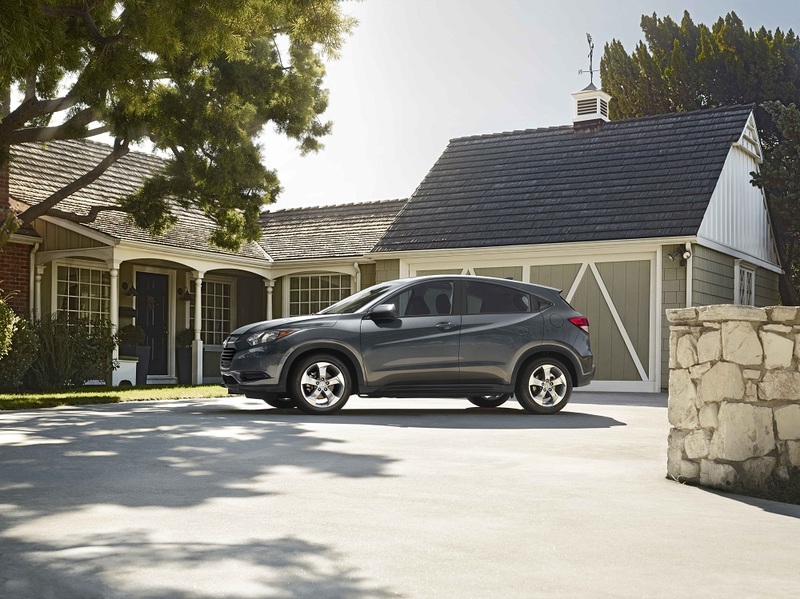 Fortunately, the 2018 Honda HR-V arrives in your driveway with everything you need to tackle a busy day. To give you a closer look at what this capable road cruiser can do for your family, we’re here with this 2018 Honda HR-V review created by Burns Honda. Thanks to this dependable ride, you’ll begin your next commute or adventure inside a cabin that’s adorned with your favorite amenities. First and foremost, your car needs to have enough room to store all your gear—whether you’re a camping enthusiast, a busy professional, or any other type of driver. That’s why the 2018 Honda HR-V provides you with 58.8 cubic feet of space with the rear seats folded down. With that kind of room, all your luggage and belongings will have a place inside your ride. In addition, the optional 60/40 Split 2nd-Row Magic Seats® allow you to easily reconfigure the cabin to fit items of any shape or size. By choosing this handy amenity, you’ll never be forced to leave your cargo behind. Simply press the button on the side of the rear seats, load up the trunk, and you’re ready to take off. Just because you own a compact crossover doesn’t mean that you shouldn’t be armed with a hefty dose of muscle. Luckily, the 2018 Honda HR-V serves up the potent performance you desire with its standard 1.8-liter motor, which pumps out 141 horsepower and 127 lb-ft of torque. Looking for an even sportier ride? If so, the Honda HR-V comes with a standard 6-speed manual transmission that puts all the control directly into your hands. Otherwise, feel free to opt for the available Continuously Variable Transmission with Sport Mode. With this smooth gear shift, you’ll be provided with the perfect dose of power when you need it most. Of course, your automobile should be just as efficient as it is powerful, which is why the Honda HR-V matches your environmentally friendly mindset with an EPA-estimated 28 MPG city and an EPA-estimated 34 MPG highway*. 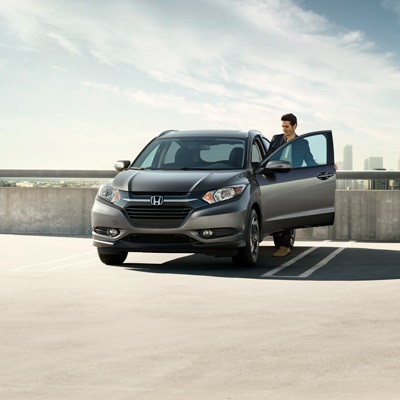 That way, you’ll drive knowing that your crossover is helping you steer clear of the gas pump. Don’t forget to embellish the cabin of your shiny, new vehicle with a suite of stress-banishing technologies. On top of that, the optional navigation system helps you avoid gridlock traffic with Honda HD Digital Traffic, which automatically updates your route based on real-time traffic patterns. All you have to do is follow the route on the touchscreen, and you’ll arrive at your destination with plenty of time to spare. Test Drive Your 2018 Honda HR-V Today! At Burns Honda, we believe that every driver near Marlton, Mount Laurel, and Cherry Hill deserves to head out on your journey at the helm of a powerful automobile that’s dressed to the nines with your most beloved technologies. So, if this sounds a lot like what you’ve been looking for in your next ride, try the 2018 Honda HR-V out for size. To do exactly that, don’t hesitate to stop by our showroom, give us a call, or schedule your test drive today!